Yes I actually need more of you. I need to reach out to a larger audience now that it’s been a year blogging and I’ve achieved over 100 of you as followers from WordPress. Now I feel more confident about doing this and I’d really want for this blog to grow. In no way does that mean I’m going to compromise on my style/ quality of blogging. If anything, I’d love to improve like so many of you. 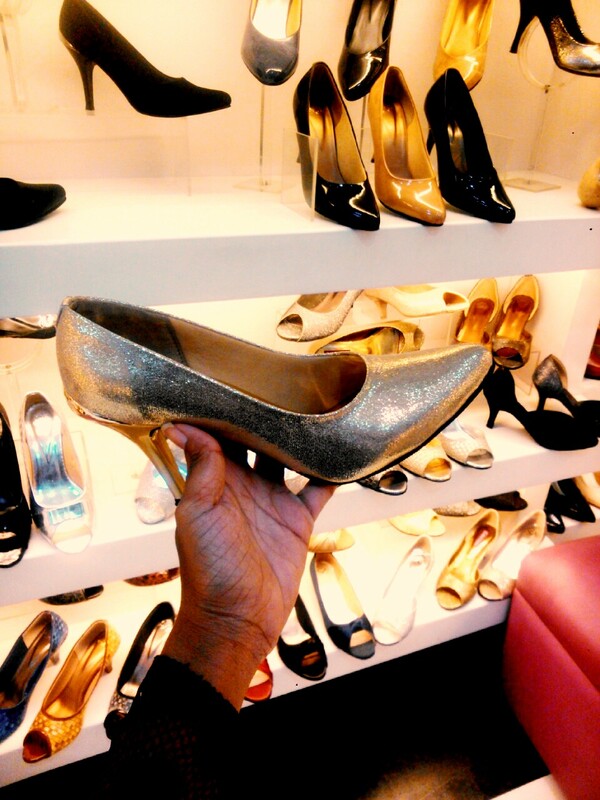 I will one hundred percent stay truthful to my blogging. No brand/ PR company can change that. I’d already hopped on to the Twitter and Instagram bandwagon recently, and now the latest is Bloglovin. Follow Me. Let’s see where it goes from here. Hope all of you continue to be an active part of this experience. Would love if you’d follow me on these social sites. Honestly it’s like treading new waters for me. 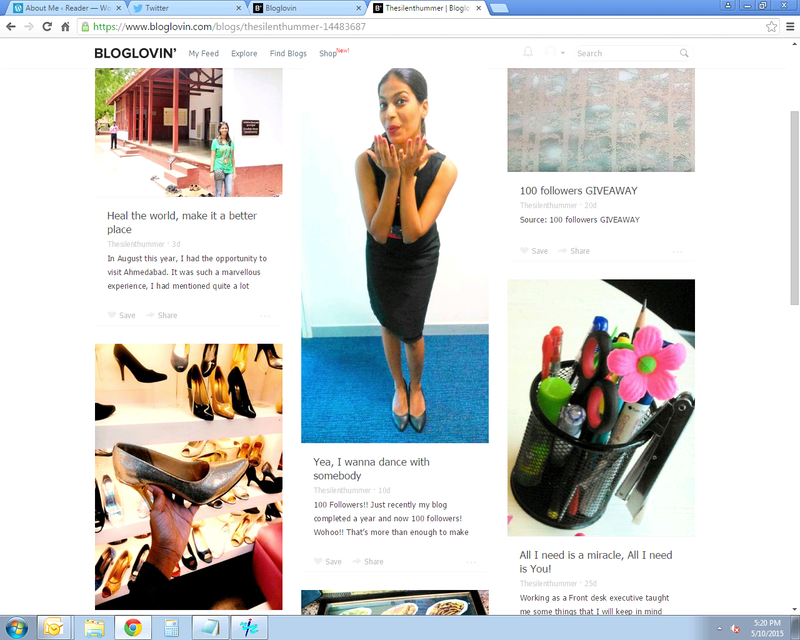 Do share with me blogging tips to increase my readership. Or in case you’re on either of these sites, let’s connect. Thanks in advance. Go Cheetah, get Banana! Hey Monkey- Get Funky! Recently I asked my cousin Jonathan (who’s now in Bahrain) if he went through my blog to which he replied in the negative. He later went through all the posts and what’s apped me with a suggestion saying I should have a section of my musings. He thought my idea of titling the posts with lyrics of songs went well with my blog name. However according to him, the topics I posted about were banal, and he suggested I try something different like jotting down some personal thoughts/feelings. I hadn’t really thought about a particular musings section, as for me my whole blog was a personal feeling thing. Anyway, here I am, taking up this challenge. I’ve made this new category – The Hummer’s musings. This will include things I directly relate with, I’m sure I’ll find others who do too. 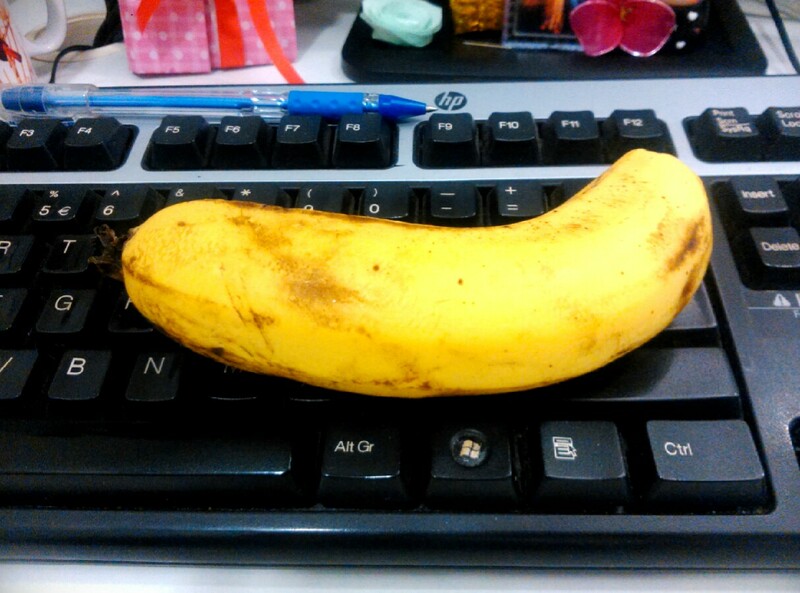 I just cannot- I mean CANNOT get myself to eat a banana in public (currently the workplace). It just feels awkward and weird to peel off a banana in front of anyone and take a bite. It’s not like eating an orange or an apple you know. So whenever I have a banana in my bag, I tend to either eat it quickly with no one around the area or will have it already sliced in a bowl and pick one piece at a time with a spoon, like you do when you have a fruit salad. I’m sure there are many others who think about a banana like this. Working in a corporate environment, looking forward to Fridays is a very natural thing. But yesterday was one of the busiest I’ve had lately. I think it’s probably why my Monday was pretty chilled out.. 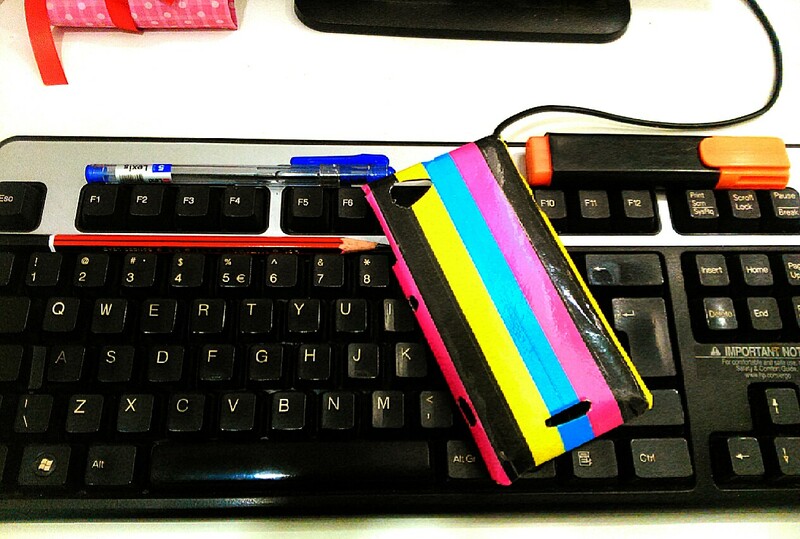 In fact it was so chilled out, that I was able to make a decent phone cover for my phone’s almost broken case. 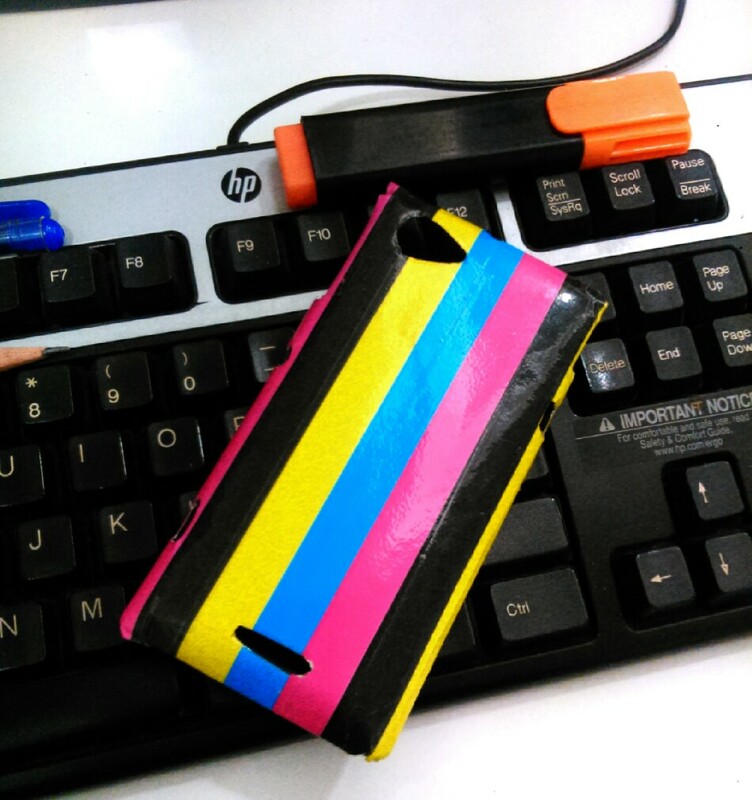 I’m not very good at letting go of things, even if it’s just a phone case. It was cracked a little, but somehow art and craft struck me when I saw this waste A/4 size sheet of paper lying around the printer at work. In fact it was there for days, probably just waiting for someone to put it to use. Everything needed to make this was at my desk. 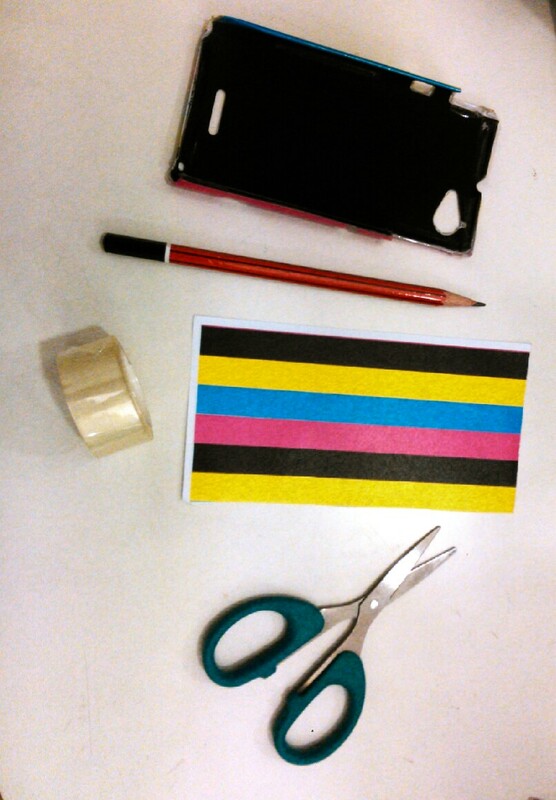 Pencil, any paper you want as the cover, paper scissors, transparent cello tape and my cell phone case. I immediately traced the case out on the blank side of the sheet, cut it out, got the tiny details cut out ( the best I could) , cut out long strips of tape and put them sticking to each other to give the paper a laminated look, cut out the extra tape around the edges of the traced paper, placed the sheet over the case and with some more tape I stuck it precisely on all 4 sides. Some may argue it’s crappy but I’m partial to my craft work here. Will certainly keep you posted. 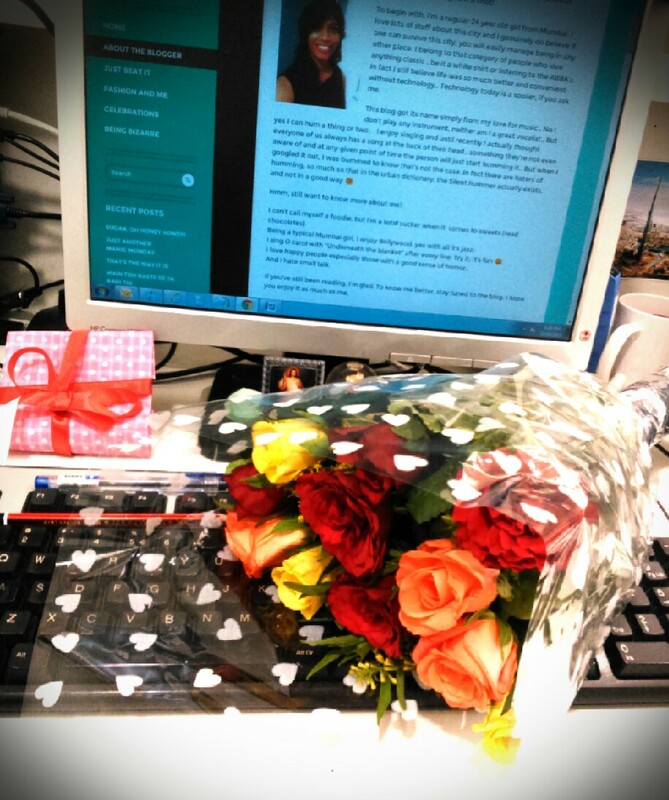 Oh also, the other day someone received flowers at work which is not a very common occurrence. Here’s a pic. Hope you all are enjoying weekend..